Premiering September 18, 2016, Witch Hunt explores history's most infamous witch hunts (literal and metaphorical). Season one examines the Salem Witch Trials. 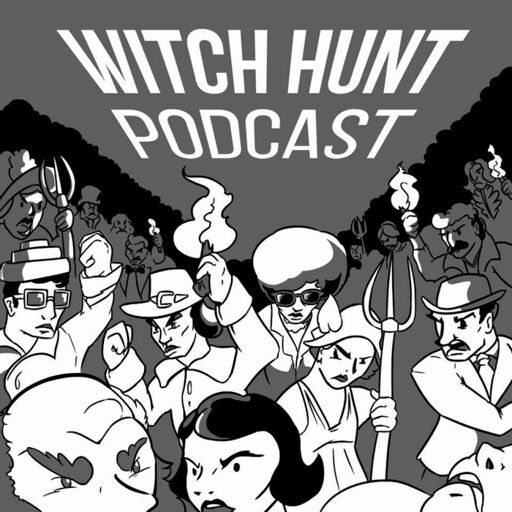 Meet the Witch Hunt Podcast, a biweekly show that explores history's most famous witch hunts - literal and metaphorical. Join us for season one as we unpack the Salem witch trial hysteria of 1692. What was it about the villagers of Salem that made them the people most likely to unleash a witchcraft Hysteria? We spoke with Dr. Mary Beth Norton, the country's top historian, for the answer. It's January, 1692, and the disturbing and bizarre behaviors of two little girls in Salem Village trigger the first witchcraft accusations and arrests. Featuring historian and author Marilynne K. Roach. The legal system in 1692 Massachusetts was anything but impartial. Learn about how the law worked against the accused during the infamous Salem witch trial crisis. Meet Thomas O'Brien Vallor, a practicing witch from Salem, Massachusetts. Learn about the beliefs of modern witches. Happy Halloween! Who were they? The innocent men and women hanged as witches in Salem, 1692. Let's take a look at the usual and the not-so-usual suspects. Who were the men behind the hangings of 19 innocent people in Salem, 1692? What was the town like on "Execution Day"? Featuring author and capital punishment expert, Richard Clark. This episode unpacks what brought the Salem witchcraft hysteria to its end and what Salem looked like when it was all over. Featuring professor and author Emerson Baker. It's not over. They're still hunting down and killing people accused of witchcraft all over the world. Learn how you can help make it stop. Episode two explains Satan's big social comeback in the 1980s. Featuring experts Professor Megan Goodwin and Mary DeYoung. We unpack, "Michelle Remembers," the harrowing, horrible hoax that started the "satanic panic" of the 1980s/90s. The story behind the most famous case of satanic ritual child abuse that never happened. Featuring RetroReport Producer Barbara Drury. Retired police detective Duane Gonyon sheds light on how the Satanic Panic got out of control. We reveal how medical experts got it wrong. Warning: adult content. We look at memory - real, repressed, and invented and its impact on the Satanic Panic. Featuring expert Elizabeth Loftus.